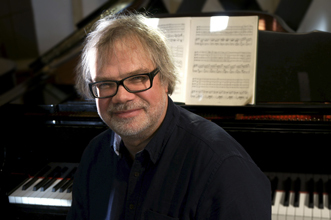 Aldis Liepiņš has been a docent at Jāzeps Vītols Latvian Academy of Music since 1992; since 2003 he has been an associated professor, and currently is a professor at its Chamber Ensemble and Piano Accompaniment Department. As a long-standing pianist of the Latvian Philharmonic Trio (Jānis Bulavs Trio) he has performed in Latvia, all across Europe, Israel and Japan. He has made many recordings in the Latvian Radio, and as an ardent Schubert aficionado has proposed and organized many Schubertiades and similar concert programmes.